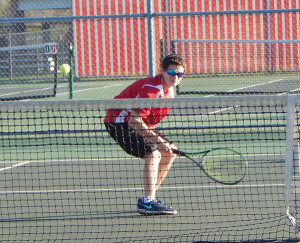 Tag Archive | "Blake Fisk"
Leading to the end of the Red Hawks boys tennis season was the conference meet on Saturday, October 3. “As is the traditional weather situation, the winds were gusting and wind chills were in the 30’s. 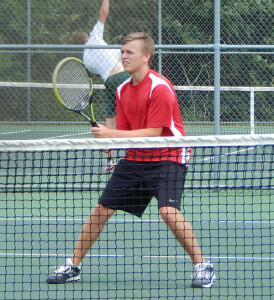 Great tennis weather!” remarked Coach Katie Unsworth. The team’s conference record going in to the tournament was 4-4-1, and they were tied with Northview for 3rd place. 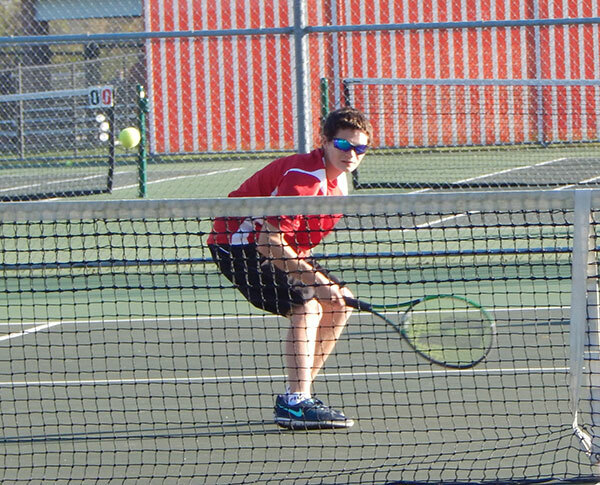 “Despite the weather conditions, the boys were able to get in some decent matches but at the end of the day, finished 5th overall, due to some upset matches with Greenville,” said Unsworth. 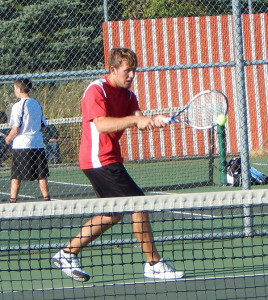 First singles Blake Fisk received the all-conference award for the Red Hawks team. 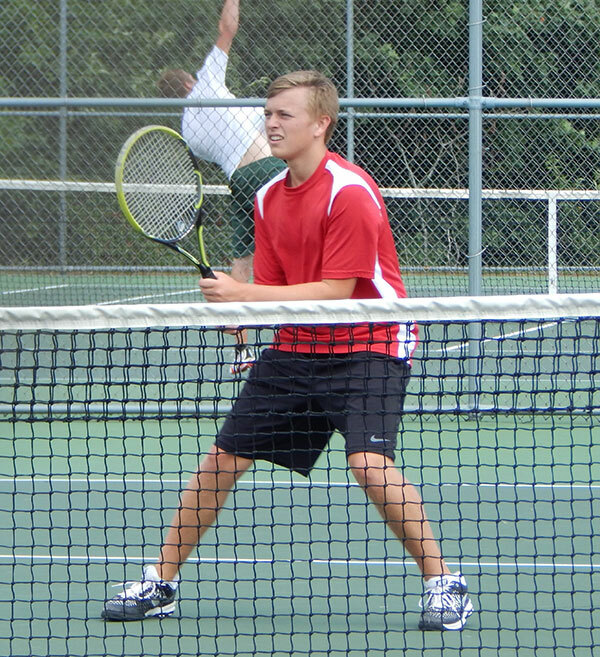 Taking first and second in the conference meet were Forest Hills Northern and Forest Hills Eastern. 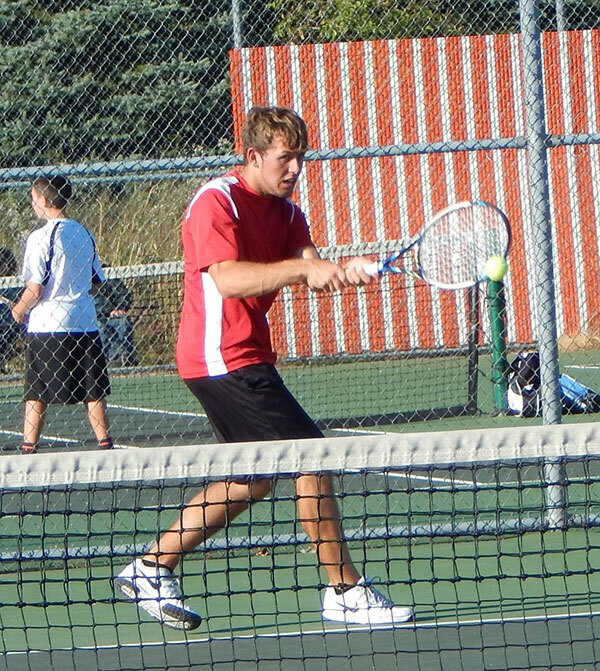 The final tournament of the varsity boys tennis season was the regional tournament held in Big Rapids on Thursday, October 8. She said the team would be losing two seniors this year: Blake Fisk and Ethan Brown. 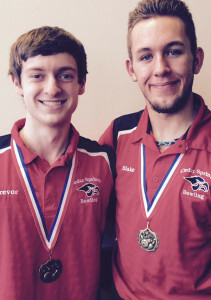 “But with eight returning senior players next year, we have our eyes set on State. Thank you guys for an incredible season this year!” added Unsworth. Their final match record was 7-4-1.